The term ‘vogue’ refers to a genre of improvised and competitive street dance forms, all of which have evolved over the past four decades within the Black and Latin@ gay, transgender, bisexual and lesbian community of New York City. The primary space within which these forms have been conceived and practiced is the ballroom scene, an underground circuit of drag competitions held between rivaling collectives known as houses. Members of these houses—tantamount to queer surrogate families—compete with one another within ballroom categories for highly coveted titles, many of which are based around the voguing forms. The four primary styles which comprise the genre of vogue are old way (vogue), new way (vogue), vogue femme and vogue dramatics, listed in their chronological order of invention. Though each one of these forms is starkly different from the next, all rely heavily on pronounced angularity in the arms and legs, punctuating twirls and flips of the wrists, and an exaggerated feminine expression that works to fashion an aesthetic of force from elements which are commonly imbued with weakness and disdain. The genre has experienced fleeting mainstream attention at various moments. 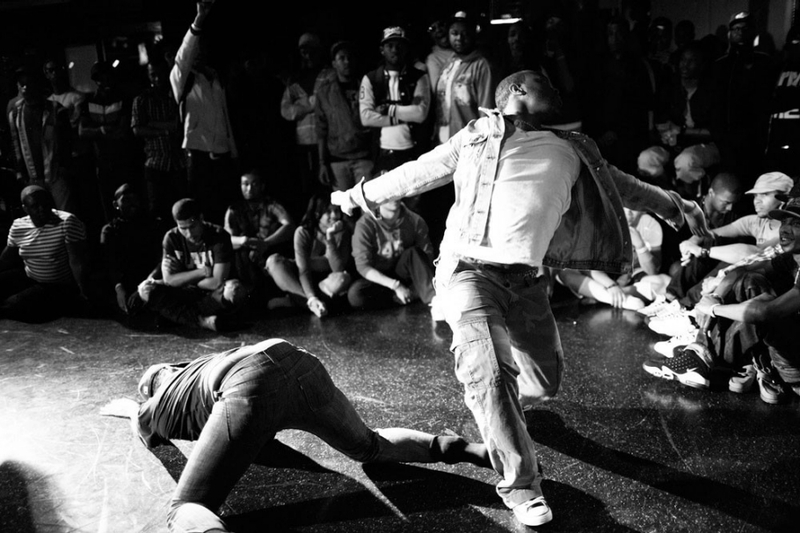 Remnants of old way were featured in Jennie Livingston’s 1990 independent documentary film Paris Is Burning, which brought ballroom culture to an international audience for the first time. That same year, new way received some notoriety when it inspired pop star Madonna’s hit single “Vogue.” In the ensuing music video and “Blonde Ambition” tour, several legendary voguers were showcased. Vogue femme and vogue dramatics, the most recent developments in the genre’s lineage, made their most notable commercial debut on MTV’s “America’s Best Dance Crew” in 2009, where a team of legendary voguers directly from the scene competed as a battling crew. Each of these instances was celebrated by the mainstream as an important moment of queer visibility (though a key question is when “visibility” comes at the cost of the form’s being stripped of its social and political history, one must ask if such visibility was ever, in fact, the goal of our movement). Due to its complex relationship with the dominant culture, the community from which it originally sprang, and the host of socio-historical phenomena which contest the bodies of those who traditionally dance it, vogue has often been examined both within and outside academic circles as a cultural form whose implications for inquiry lend themselves primarily to identity politics. Anthropologists, academics, and theorists alike have often approached the form as a case-study in the intersections of race, class, sexual and gender identities, scrutinizing its aesthetic as a means of better comprehending those junctions. The ways in which these areas of identity inform and impact one another are undeniable aspects of the dance form’s conception, inextricably bound up in its practice and performance, and can certainly be read in multiple ways from the movements of the forms themselves. Such an interrogation of the genre, however, is not what this particular learning project is concerned with. The goal of this curriculum is to connect vogue not only to the individual identities of its dancers, but to the larger communities which have created, nurtured and shaped the genre over the last forty years. By carefully examining not just the physical vocabulary of the forms, but the history of the genre–the social, political and economic conditions which impacted its formation–we can gain a collective view of vogue which is complex, and pushes us beyond simple identity politics. Through a multidisciplinary approach to vogue which makes use of artistic, academic, social justice, and political organizing lenses, we can understand the genre not simply as a form of physical movement, but as an actual social movement, one which has the power to inform and teach us about our own. By taking on the responsibility of locating ourselves in its radical lineage, we can come to identify ourselves, our communities and our movements in whole new ways, and practice aligning our struggles with those of countless other oppressed people, working towards a creative, celebratory, inclusive and committed vision of justice. ← Busting the Spectrum: What Does ‘Political Diversity’ Really Mean? This sounds super exciting, i’d love to see what you come up with. One thing i’ve been thinking lots about lately is protocol, particularly in regards to cultural practices of marginalized/colonized groups. People either don’t appreciate the importance of protocol or just don’t respect that there is a correct way to learn and embody teachings. Particularly when it comes to voguing, it seems like lots of white queers watch Paris is Burning and try to imitate what they see, laying claim to a legacy and culture they don’t understand or have the right to perform. But obviously there’s something in ball culture that inspires people, that makes them want to participate in it. So yeah, this just seems like a really important step in asserting those boundaries as well as a correct route for curious outsiders to take. Awesome, thank you so much for all of these resources, and for your advice. You bring up some really important points about how ballroom culture has spread, and how it has been taken on in very different ways by different communities. Definitely something to think deeply about in creating any kind of curriculum. You are BRILLIANT!!! Truly magical and giving my heart little bits of hope through this blog. Thank you so much for stopping by to read! I will keep you posted. thanks for this list texts and sources. I’ve only recently been exposed to Paris is Burning and it made a profound impact on me. I’ve been looking for more material to read/watch/hear about the the balls and voguing, and I can’t wait to get into some of this stuff. Keep up the exciting work! Love this! I’m currious, where do you teach and when? I would very much love to sit in on/be a part of this class. It is so powerful. I’m very interested and want to hear more. I think this class is much needed. I’m very very curios about the connection with voguing and the prison industrial complex. I would so love to hear your thoughts. Please do email me at gordonta@email.sc.edu. Hey! Thank you so much for reaching out. I’m actually in school for elementary education at this moment. This curriculum is one I am in the process of building, hopefully with the collaborative efforts of other members of the ballroom community, so only initial classes have been executed so far. I will shoot you an email as soon as I can!